We are glued to our iPhones, staring at our screens walking on the sidewalk, sitting at the office, eating at the dinner table and even in the powder room. But what if instead of losing brain cells while mindlessly scrolling through Instagram, you could actually use your phone to become smarter? Check out five apps to boost your brain power. Why we love it: Elevate is a personal trainer for your brain -- minus the price tag that typically accompanies. Selected by Apple as App of the Year, Elevate uses AI to design customized brain workouts based on your interaction with the app. The more you use it, the better it knows you. 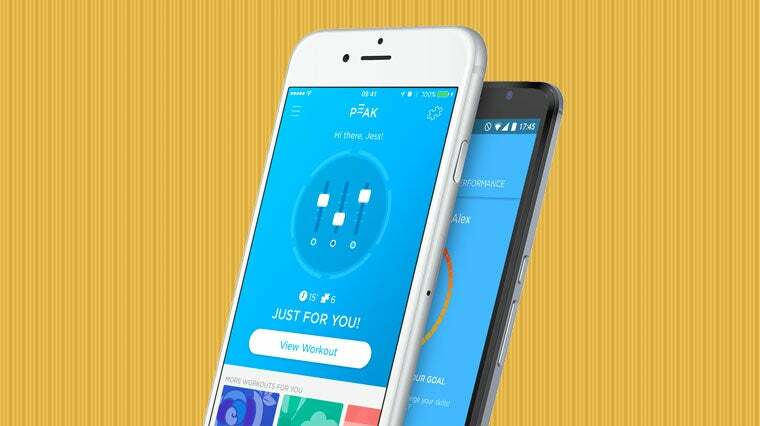 After determining your goal, the app creates a personalized set of exercises tailored to your desired results. You’ll be given short, and rather enjoyable, mini games to improve your memory, focus, reading comprehension, writing and more. You can track your progress along the way, see which skills are improving and which ones need a little extra love. To see if Elevate really was affective and not just a waste of time (and phone data), California State University conducted a research study in collaboration with Elevate. Results showed that Elevate users improved 69 percent more than non-users in key skills over a four-week period. Cost: Free, with the option for in-app purchases. Why we love It: Can your smartphone really make you happy? Well, Happify is certainly trying -- and succeeding. This app wasn’t designed by your typical programmer. 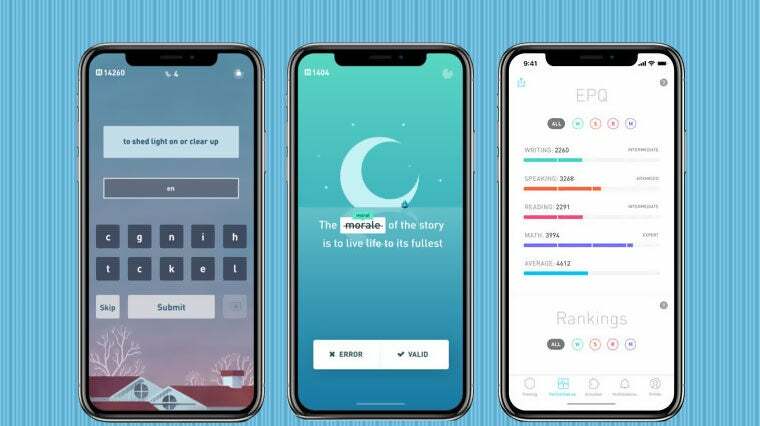 Rather, leading scientists and experts in fields of psychology, mindfulness and cognitive behavioral therapy developed the app to make sure each game will bring about positive change to your life. By keeping track of your emotions while using the app, you can see just how far your happiness and emotional intelligence have improved. Happify isn’t promising all sunshine and rainbows. You’ll have your bad days, but overall the app will train your brain to abandon its negative wiring and think positively. If you’re skeptical, Happify doesn’t sugarcoat anything. 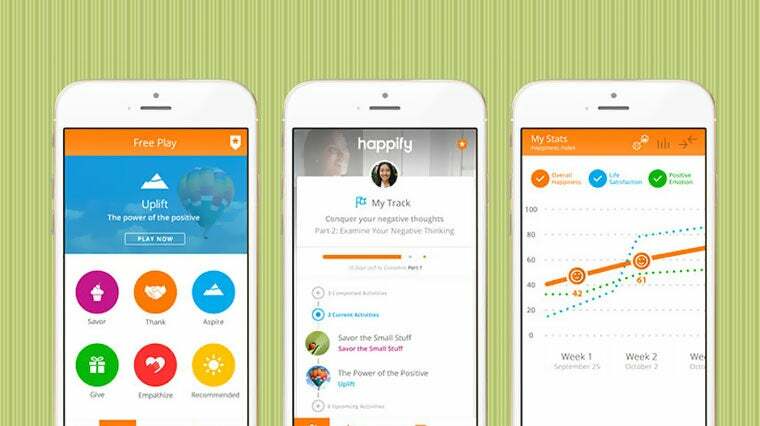 It lets you know up front that it’ll take a lot of work to kick your bad habits to the curb, but Happify is there to assist you along their journey with a few easy, fun games each day. Results can’t be falsified since they are coming from you. Why we love it: If you can’t remember your email password or where you put your phone, give CogniFit a try. Aimed on improving your short-term memory, CogniFit tests your brain for 23 different cognitive skills and provides a detailed report of your results. You then have the option of playing different brain games and mental challenges to stimulate and/or rehabilitate the cognitive skills of your choosing. 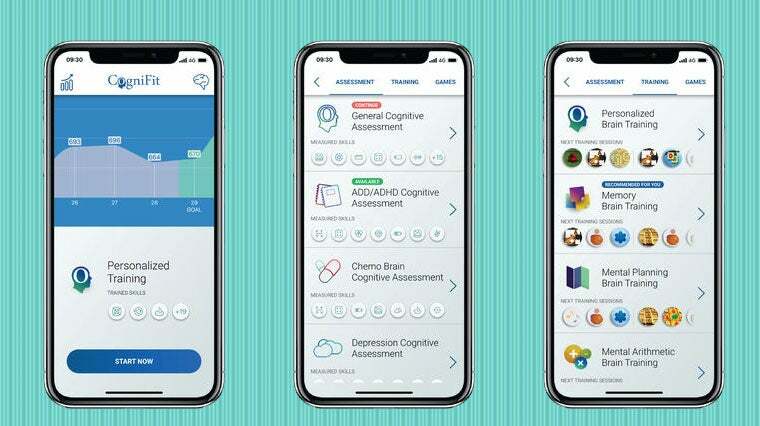 Using the same technologies as hospitals and medical centers around the world, CogniFit also offers specific exercises for people with a diagnosed mental impairments, like dementia, chemo-fog, Alzheimer's, ADHD, multiple sclerosis and more. Why we love it: Peak helps you make the most of your play time by pushing your thinking to its peak for a short interval of time. Think of it as the high-intensity interval training routine of brain training: short bursts, lots of energy, quick results. When you first sign up for the app, Peak asks you which skills you would like to improve to make your experience as efficient as possible. Taking into consideration your personal interests and game performance, Peak puts together sequences of games specifically for you. Benefits include sharper focus, increased mental agility and a stronger memory. If you’re really pressed for time, play the “Coffee Break” feature. All the brain benefits, but you can play in the amount of time you’ll wait in a Starbucks line. Forgot your phone at home? No worries. Peak is available on your Apple Watch. Plus, Peak encourages you along the way with positive reinforcements to motivate you to keep going. Why we love it: No, you are never too old to learn a new language. Though you are more prone to pick up a foreign language as a child, Duolingo makes it possible for you to learn to read, write and speak in the language of your choosing. From French to Indonesian, Duolingo offers over 32 different foreign language courses in the form of fun games and quizzes. Haven’t spoken Spanish since middle school but still remember bits and pieces? Duolingo allows you to pick up where you left off, so you don’t have to go all the way back to the beginning. 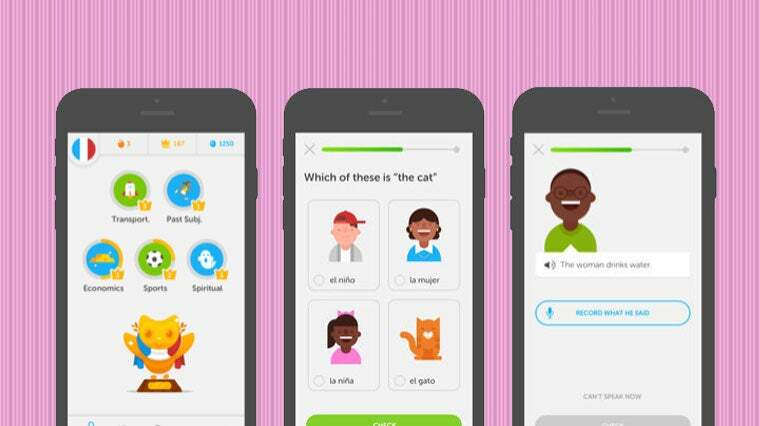 A private tutor in your pocket, Duolingo is a fun spin on traditional foreign language education.